Katie is the Manager of our Chelmsford Office and Project Manager with 20 years of experience in Site/Civil design. She plays a key role in business development and expanding HSH services in suburban communities outside of Boston. 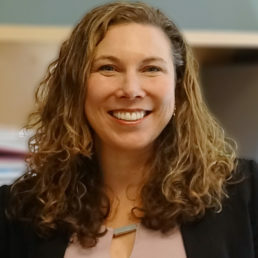 Katie also serves on the Board of the Middlesex 3 Coalition, an economic development driver for the Route 3 corridor, including communities from Tyngsboro to Burlington. She has a broad knowledge of the technical and procedural aspects of engineering projects, and is responsible for the oversight and design of a variety of land development projects, and permitting through local boards and commissions, public hearings, and construction.